You are here: Home / Kayak / Kayak Dimensions: What Size Kayak Do I Need? Picking out a kayak with the right dimensions can be a confusing task. There are many kayak types, each with vastly different shapes and sizes. 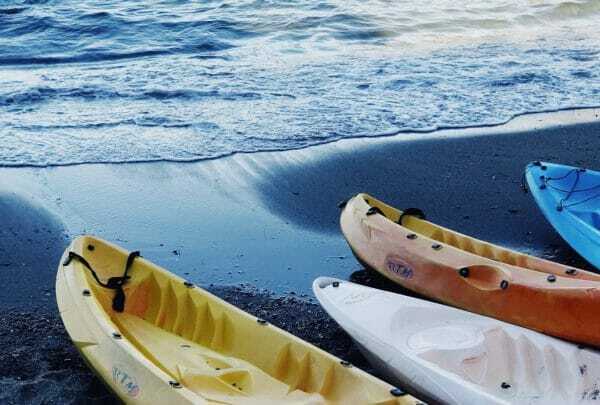 This guide will explain the various types of kayaks, their dimensions, use cases, and hopefully assist you in picking your ideal kayak. As you might know, kayak sizes can vary widely – from sleek 20-foot sea kayaks to ultra-maneuverable 6-foot whitewater kayaks. The right sized kayak for you will mostly depend on how you plan to use it. What Length Kayak do I Need? The main dimensions to consider in a kayak are its length, width (known as beam), and volume. Length is undoubtedly the first thing most new kayakers consider when looking at a kayak. A kayak’s length is generally a good indicator of how fast it can go. 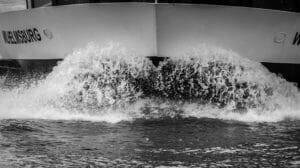 Bow wave from a large boat. The longer the boat, the more potential for speed it has. This is because the bow wave (the wave formed by the boat’s bow) is smaller and further away in a longer kayak. A longer boat is able to travel faster before it overtakes its own bow wave. This is known as its hull speed. Longer boats do have drawbacks though, most notably, maneuverability and weight. A longer kayak will take more effort to turn, and generally will be heavier than a shorter kayak. Also, price tends to increase the longer you go. A kayak’s width (also known as its beam) is a major factor affecting its stability. Generally speaking, the wider the beam, the more stable the kayak. That doesn’t mean you want the widest kayak possible though. 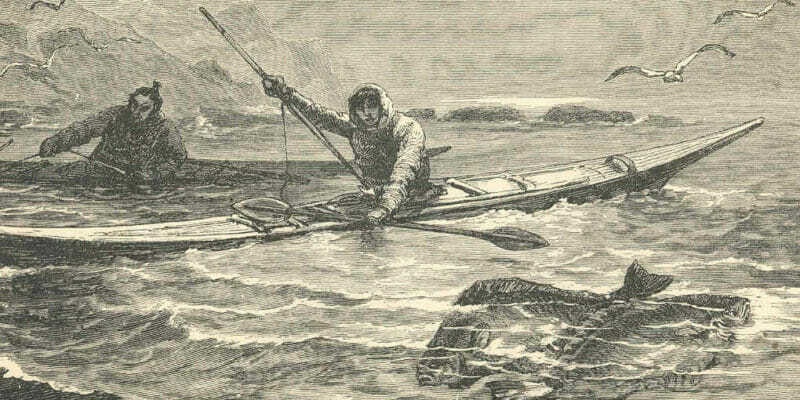 If a kayak is too wide, paddling can be cumbersome and unnatural. Unsurprisingly, a wider kayak will sacrifice some speed – as more surface area comes in contact with the water, drag increases. 1) Primary stability. Primary stability refers to the initial stability of a kayak in flat conditions. 2) Secondary stability. Secondary stability is the stability of a kayak in rougher waters, specifically the ability to stay stable when tipped over by a wave. Flat bottomed kayaks have good primary stability, and will perform well in calm, flat water. Put one of them in whitewater though, and you’ll soon be head over heels underwater. The opposite is true for kayaks designed for choppy waters; they often feel unstable in flat water. Finding the right balance between primary and secondary stability is part of the challenge for kayak manufacturers. This ratio is not a foolproof metric – it’s more of general indicator. The higher the ratio, the narrower the kayak – which suggests it will be faster and sleeker than a boat with a lower ratio. Kayak volume refers to the boats total carrying capacity. 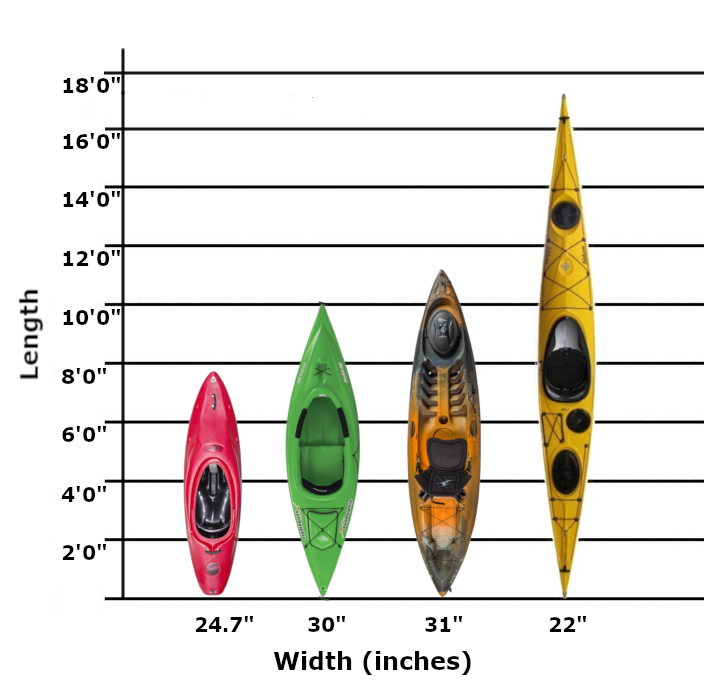 Volume is a relative measurement, as the longer the kayak is the higher the volume will be. Also, the appropriate kayak volume will depend on the weight of the kayaker. 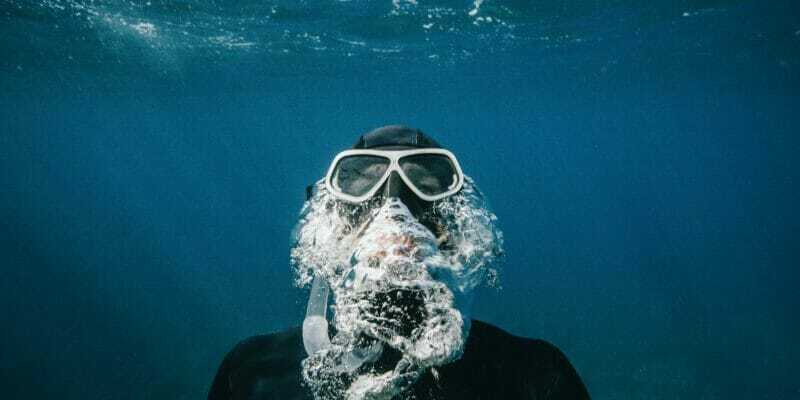 A 300 liter / 80 Gallon boat will be more than adequate for a smaller woman plus 100 pounds of gear, but not enough for a 200 pound man with the same amount of gear. Beginner and recreational kayaks tend to be “high volume” style kayaks. They have higher beams and provide a more reassuring feel for beginners. High volume kayaks are simple to use, but they’re less efficient – and perform poorly in windy, choppy conditions. The exception to this would be whitewater kayaks, which utilize high volume design to resurface quickly. “Low volume” style kayaks are long and sleek with a minimal amount of internal space. Often found in touring and sea kayaks, these kayaks are efficient and perform well for longer expeditions. If you’ve spent any time looking at kayaks you’ll know how overwhelming it can be. There are enough kayak configurations you’d need a PhD. to identify them all! Recreational kayaks are designed for casual paddling in calmer waters, and favor stability and ease of use over speed and efficiency. They’re less expensive than more specialized kayaks, and are the most popular kayak type on the market. You’ll find plenty of them at any kayak rental place. Typically, recreational kayaks will fall in the 9 – 12 foot range. This makes them smaller and more lightweight than touring style kayaks. The smaller size is ideal for beginners – as they are lightweight and easy to maneuver. The beam for recreational kayaks is usually around 28 – 34 inches. This makes them rather wide, and gives the boat added stability. Both sit-on-top and sit-in style kayaks are available in this category. Sit-in recreational kayaks normally have a large cockpit opening – which makes entering and exiting the boat easy. 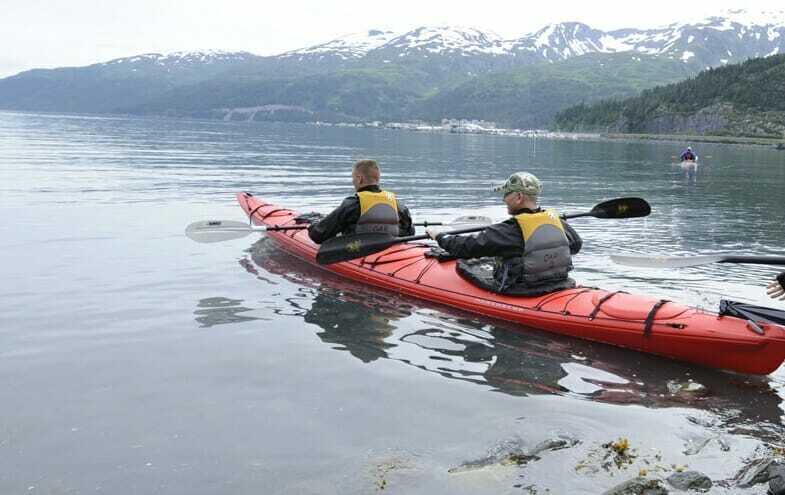 Touring (or Sea) kayaks are long, sleek kayaks made for long-distance paddling in a variety of water conditions. They are often used in oceans and bays for prolonged periods of time, and track (maintain a straight line) extremely well. Their design favors speed and efficiency over maneuverability. The hull length can be anywhere from 12 – 20 feet long for a solo craft, or up to 26 feet long for a tandem boat. This added length gives plenty of space to store gear inside the hull. Beam width varies widely in touring kayaks but generally will fall between 18 – 28 inches. This makes them less stable but increases tracking ability. Fishing kayaks are similar to recreational kayaks, but are specially built for use as stable fishing platforms. They are the widest kayaks available, and are meant to stay steady when a fisherman stands up to cast off. 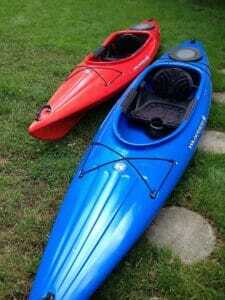 These kayaks are typically 10 -16 feet long, and between 30 – 42 inches wide. The design favors maximum stability and weight capacity over speed and maneuverability. 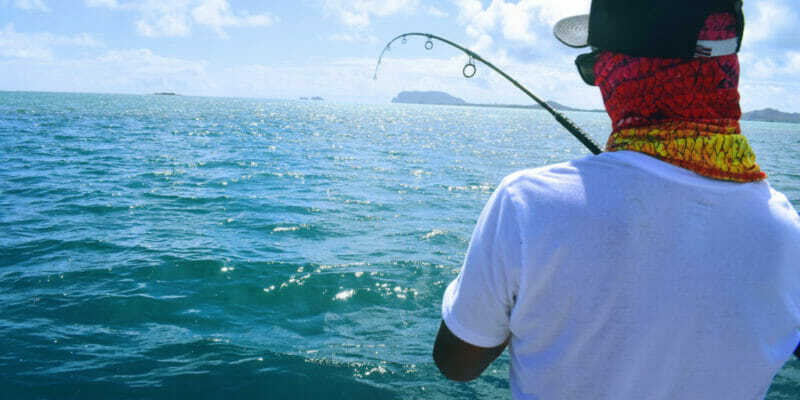 They are also highly durable, many fisherman even attach trolling motors to them. 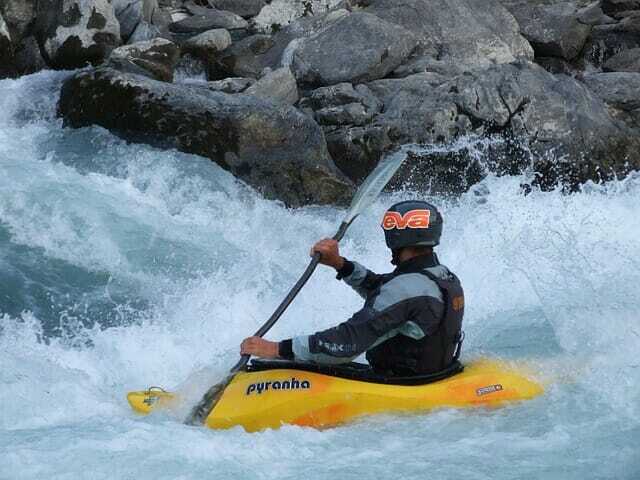 Whitewater kayaks vary widely in dimensions and design. There are short and maneuverable playboats for surfing and performing aerial tricks, long and speedy Creek Boats for charging over rapids, and versatile River Runners which incorporate a bit of both styles. Playboats are the shortest of the bunch at around 6 feet long. They are super maneuverable, and allow you to perform flips, rolls and aerial tricks. Creek boats are usually between 7 – 9 feet long and have a high internal volume. The high internal volume keeps you near the surface in case you get pulled underwater. River runners are a cross between playboats and creek boats, with less internal volume than a creek boat but more maneuverability. They’re also around 7-9 feet long. There is no perfect kayak for all uses and situations. 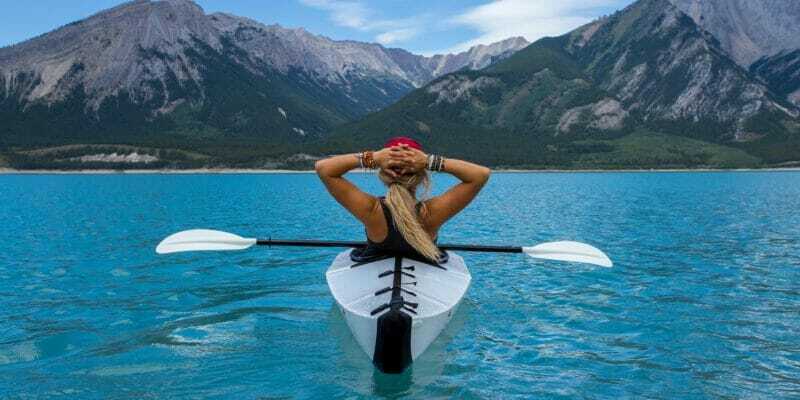 Picking a kayak with the right dimensions for you will depend on how you plan to use it, available storage space, and your budget. As mentioned previously, there are many specific kayak types. A good way to narrow it down is asking yourself where and how you plan to use the boat primarily. Are you planning on taking the boat for long excursions? Do you want a kayak mostly for fishing? Or perhaps you want a boat for cruising calm rivers and lakes? Number of people. If you plan to use the kayak by yourself then a solo kayak would work well. If you plan on kayaking with another person or with kids, then a tandem kayak or even a three person kayak might be necessary. Dogs. If you plan on taking along a furry companion, you’ll want a kayak with enough stability to prevent capsizing – plus enough room for your dog to sit comfortably. Check out my guide to the best kayaks for large dogs. Storage and Transport. Buying a 20 foot kayak to keep in your studio apartment is probably not going out too well for you! If you’ve got a large garage or lots of storage space then size won’t be an issue, otherwise be sure to measure your storage area before purchasing any kayak.Another factor to consider is how you’ll be transporting the kayak. If you plan to use your car, there are roof racks specifically designed for kayaks, which make the job much easier. Budget. Unless you’re descended from royalty, budget will probably play into your decision. Luckily, advances in kayak construction technology means a high quality kayak is more affordable than ever before. Look out for a good warranty when comparing different models. Top manufactures will often include a 5 + year warranty with purchase.